Now a days the main goal of an organization is to maintain a long term relationship with their customer. Because there are many more new option for their customer and the competition between the organization day by day increasing. \n\nSo, every organization try to analyse the churn behavior of them. 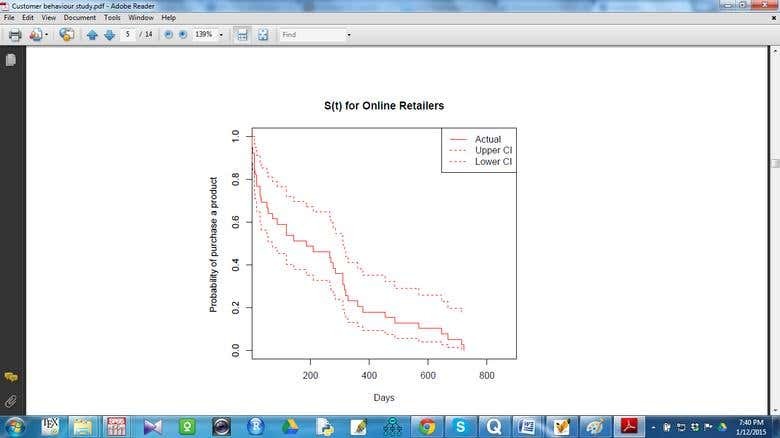 This was a study on customer churn and we have used K-M survival analysis to explain the customer behavior.